It’s been warm, dark, and icy up here. 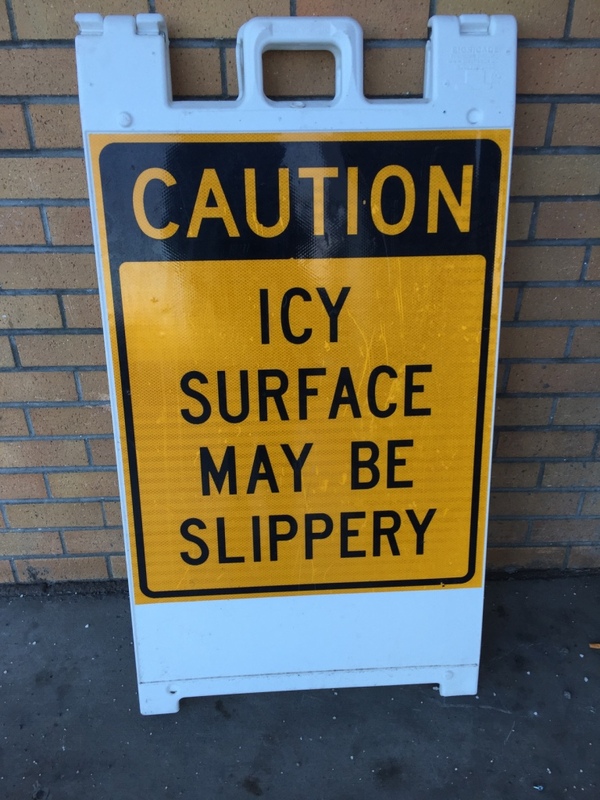 A lot of local businesses have got these silly signs stating the obvious. We have had much warmer temperatures the last two winters. Of course, we have had cold ones too. Still, when we moved up here 20 years ago, once it snowed, the snow stayed put until Break Up Season. Lately, there is no guarantee of that. Which is dang disappointing to winter sports fans. 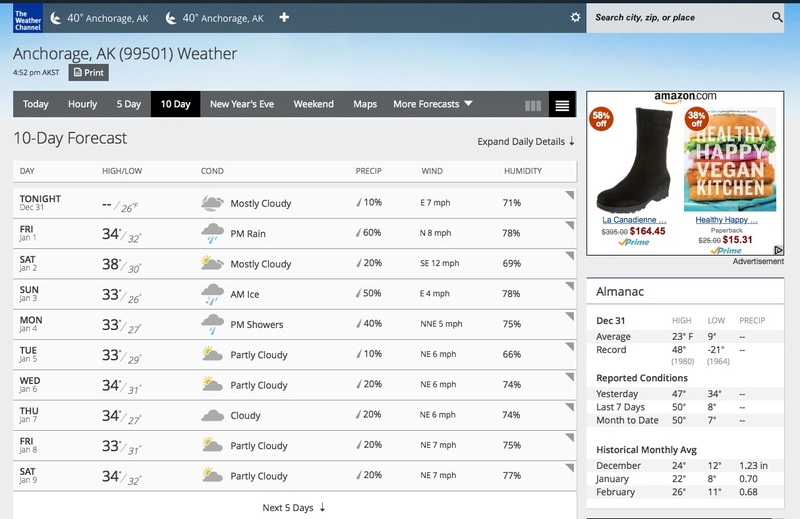 If you look closely not only will you see the Anchorage five day forecast, you will also see what I would like for my birthday. I failed to write a Solstice post this year, but you can read the one I wrote in 2013. It is about my quilt Solstice and the day it is named after. The other day I got this corny joke in my Facebook Feed. 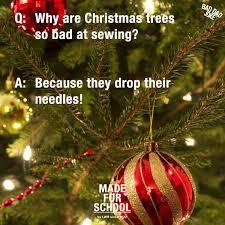 It made me think that there has to be more holiday silliness concerning quilting and sewing out there. I was right. 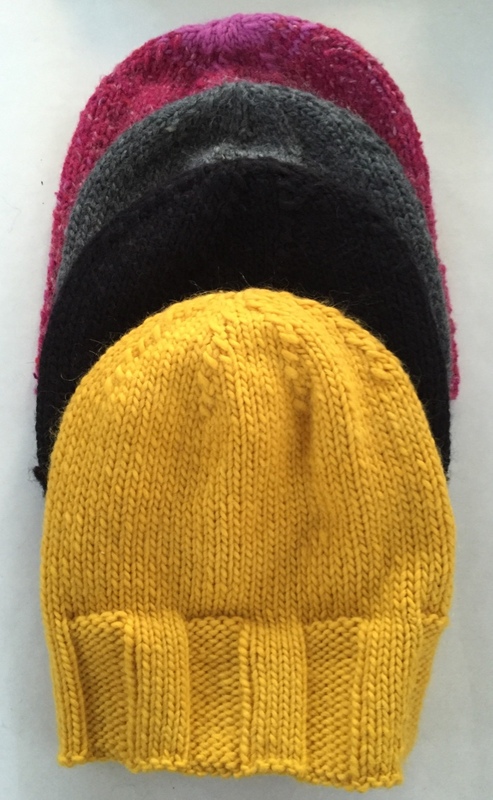 I did lots of hat knitting for the holidays. 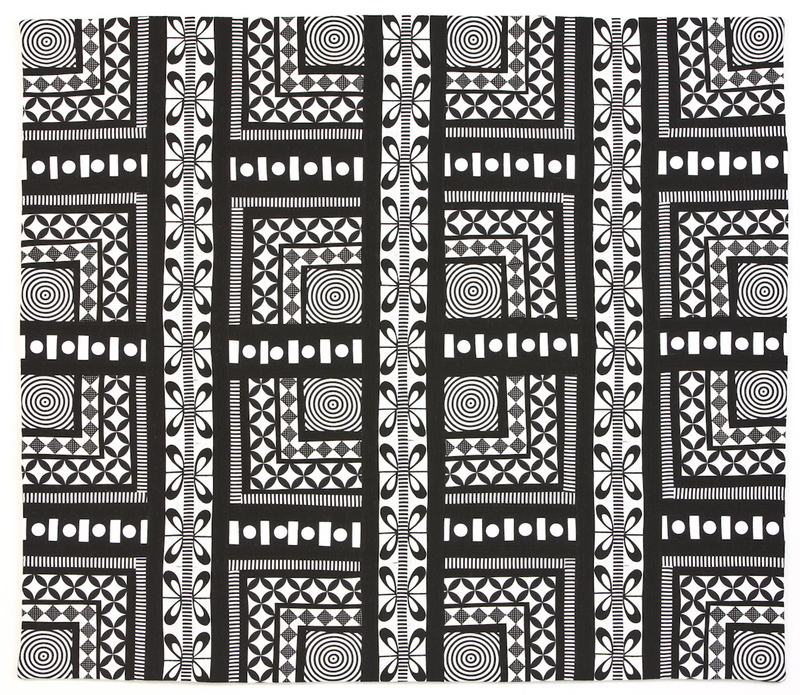 This has inspired me join the Fancy Tiger Crafts KAL (knit along) that starts on January 5th. We will be knitting Guernseys which is well beyond my skill set. Being that I am incredibly unoriginal when it comes to knitting, I will be knitting one of the recommend examples in the exact yarn it was knitted in. 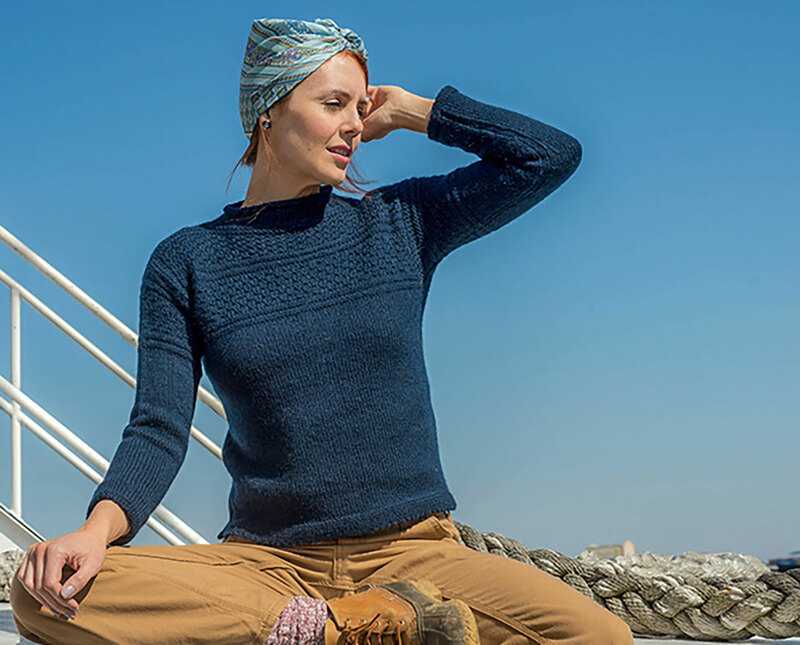 The pattern is Courtney Kelley’s Seascale Sweater. 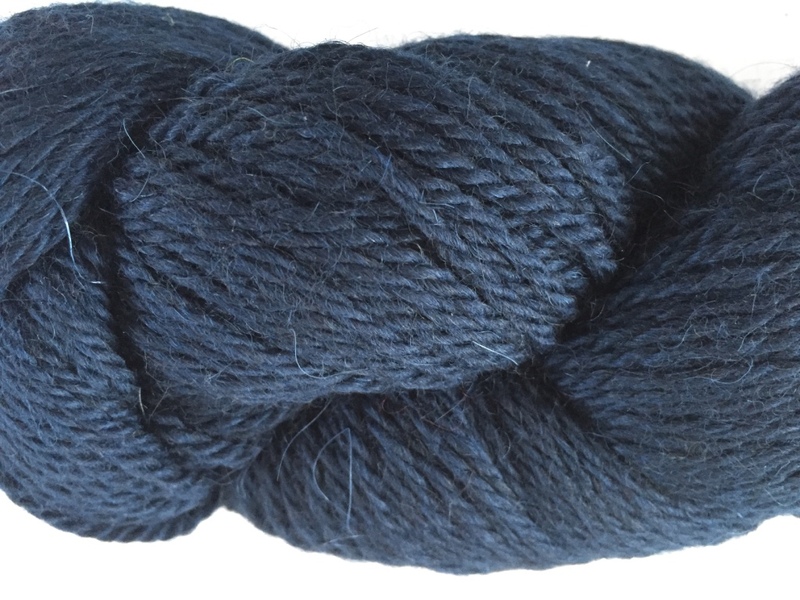 The yarn is called Cumbria by the FIBRE co. and the color of the yarn is Derwentwater. I telling all of you this, because I think you should join me in improving your knitting skills. I could use some company. 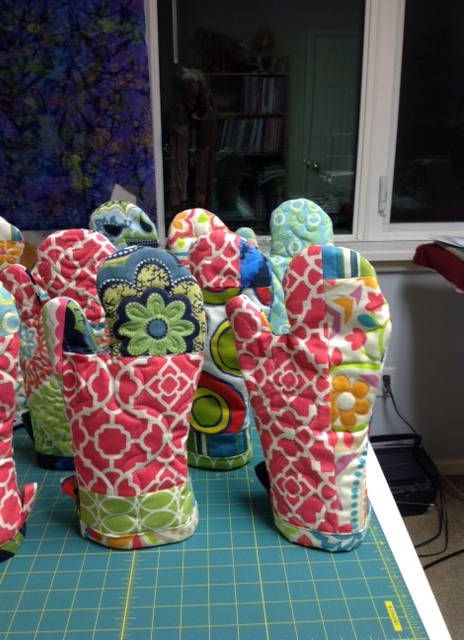 While I was kniting some of you were making great versions of the Artful Oven Mitts. Thank you for sharing your work with me. Katie Madden of Fairbanks, Alaska made these beauties. Donnalee Kennedy made these lovely curved edge ones. Aren’t they fabulous? This is a story of me and modern technology. Donalee posted these on Facebook, I asked if I could share them here, she said yes. Then I forgot where I had gotten the image from. I searched and searched my email for the image. I went ahead and posted it here asking for help. Within 1/2 an hour I had my answer. That’s technology for me (and maybe you? )–confusing, complicated, and resolving all at the same time. 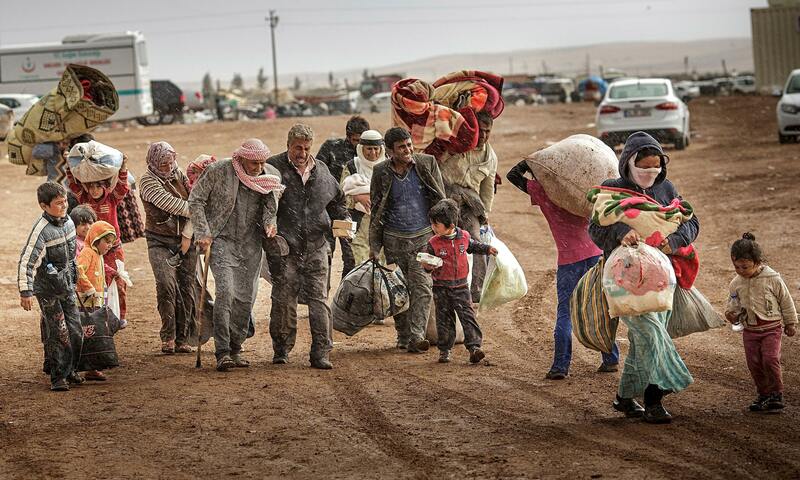 I have been thinking about the fact that there are more refugees in the world at this moment than at any other time since War World II. Walt took Ozzy to the doctor for an ear infection. The ear drops without insurance would have been 250 dollars. That’s like a dollar a drop or something. We finally got Amazon Prime to work on our old T.V. 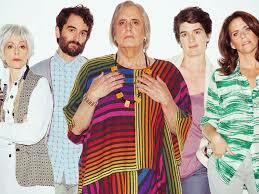 We have been watching Transparent. I can’t stop thinking about it. 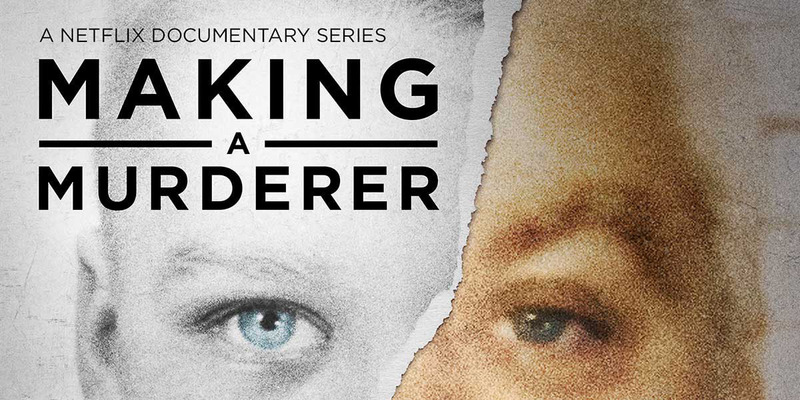 And I can’t stop watching NetFlix’s Making a Murderer. I can’t even really get my head around it. You know the saying Truth is Stranger than Fiction. Well, this show is a fine example of that. “Making a Murderer”. Photo: Courtesy of Netflix. This year has been the a turning year for me technology wise. I regularly use my phone to take photos and listen to Audible, and I can’t image traveling without my Kindle. I have work in several upcoming shows around the states and even in Canada! I am going to wait to show images of the quilts until the shows actually open. But if you are in the neighborhood, I hope you will take the time to check these shows out. If things go according to plan, I will be at the opening of ART CLOTH NORTH and Fiberart International 2016. From my corner of the world to your corner of the world, I wish you a very happy New Year! 31 Dec	This entry was published on December 31, 2015 at 7:12 PM. It’s filed under and Ideas and tagged Alaska Winter, knitting, New Year, Solstice. Bookmark the permalink. Follow any comments here with the RSS feed for this post. Thank you Joan for solving the mitt mystery! Hi Maria, HAPPY NEW YEAR! We met briefly at the SAQA event at Quilt National and sadly I keep missing you at Nancy Crow, seems you come in for the class just after I’ve been there. 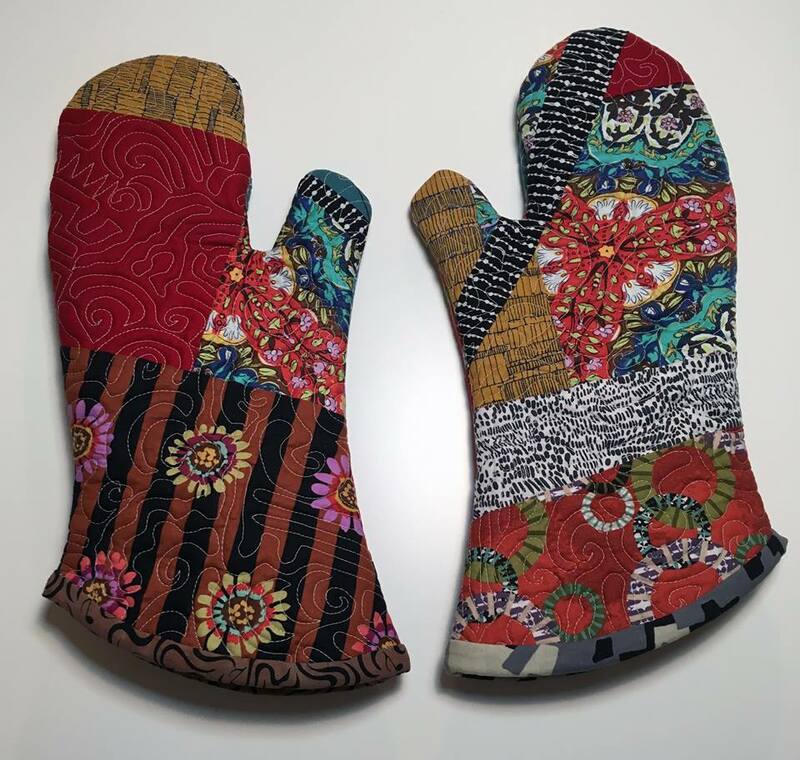 Anyway the reason for my email is I mentioned you on my fb page Page when I posted the oven mitts I made using your tutorial. You asked me on your blog to contact you with my name. I hope we’re at the barn at the same one of these times. No wonder I couldn’t find the email. It did not exist. Thank you so much for sharing your beautiful mitts! Happy New Year! Thanks for sharing your work and thoughts. Looking forward to what’s in store for 2016. Thank you Marla. Happy New Year to you too! Hi Maria! just dropping by to say Happy New Year and tell you how much I like keeping up with you and your work with the blog. without the internet we’d just be acquaintances who once met at a party; with it we’re friends. see you in April!! YES to April! Thank you for stopping by to say that. Your blog is the reason I am here writing away. I do so enjoy reading your blog. Your wonderful sense of humor, great writing and beautiful art is such a perfect combination. I hope you continue sharing your images, thoughts and updates for years to come. Happy New Year! Mary, thank you so much for taking the time to say that. It is super nice of your. Happy New Year to you too!